In other words, you have to become a local market expert. When you’re new to the game, that may sound daunting. But if you put time and effort into truly understanding your local real estate market, you can significantly improve your chances of success. Demand: This is both the quantity of homes wanted, at a specified price at a specific time, and buyers’ willingness and ability to purchase a home (i.e., homes are for sale that a buyer can afford and wants to purchase). Rarity: This refers to the limited supply of certain types of property in particular locations (i.e., the buyer is ready and able, but a property is not available, so the sale won’t take place). Utility: This factor asks the question: “Is the commodity suitable for use?” (i.e., the buyer might be ready and able, the property might be available, but if the residence is riddled with asbestos, the sale still will not take place until the problem is remedied). Transferability: This refers to the ability of the home to legally change hands. For example, if all the other elements line up, but the buyer discovers that the seller’s name is not on the title or another legal encumbrance with the deed, he or she still cannot purchase the property. Also, the following ten core economic principles are at play. If you have a basic knowledge of them, you can help your clients with pricing, purchasing, and selling decisions. Anticipation: Bases real estate’s value on its future profitability and advantages. Balance: Property attains maximum value when the production agents are economically stable. Productions agents are the necessary components to bring a commodity or service to market: land, labor, capital, and coordination. Change: Value is influenced by variations both inside and outside of the market. Competition: The striving between parties to develop, offer, or obtain real estate and the contest between properties to capture consumer attention. Property worth is impacted by both types of competition. Conformity: Value increases the more similar a property is to others in the same category or location. Contribution: The feature of a property is only as valuable as it increases its worth. Externalities: The value of real estate is impacted by “external” conditions such as the four value forces—economic, social, political, and environmental. Highest and best use: The legal use of a parcel of land, which, when capitalized, will generate the greatest net income. Substitution: A property’s value cannot be greater than the sale price of those with similar features and utility. Supply and demand: When supply is high, and demand is low, the price of real estate is low; conversely, when supply is low and demand is high, the price is high. Use the data to evaluate your performance. With all that data, you can quickly see how many agents you are competing with, their experience levels, and how you rank against other agents in your brokerage and in your area. Plus, you gain insight that will allow you to set financial goals and other objectives. Fully understand market conditions. You will know what’s fueling or stalling the market, and whether you are dealing with a buyers’ or sellers’ market. That allows you to keep in check both your and your clients’ expectations as they seek to buy or sell a property. Offer clients better advice. Understanding your real estate market allows you to establish and evaluate the price of a listed property and help your seller and buyer clients make the right decisions. Those two things are key to growing your real estate business. Position your clients’ properties against competing real estate. The data helps you determine what buyers should offer in order to get a fair deal or how sellers should price a property. 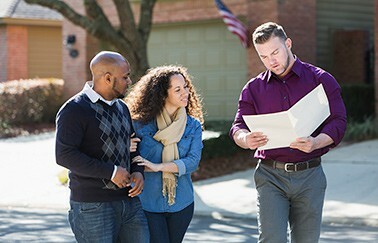 You can gain insight, specifically from your MLS, about how old the average listing is, what percentage of listings actually sell, how listing prices compare to sale prices, what are the most active segments of the local market, and what are the features of the properties that are currently listed or have recently sold. Create promotional opportunities. You can build your credibility and land new clients by sharing your economic know-how during phone and in-person conversations with prospects and when you connect with past clients or ask for referrals. Additionally, you can share your knowledge via blog, social media, newsletter, or the media, to build your reputation as a thought leader. That increases people’s trust in you as an expert. So many agents don’t take the time to know their market. When you put time and effort into fully understanding your real estate market, you immediately gain a competitive advantage. The more you know, the better you can serve your clients and guide them toward making the best decisions. When you provide outstanding service to clients, they will not only keep you on as their agent, but also refer you to other clients. And that is how you succeed in this business. For more tips on understanding your local real estate market, check out our blog post on How to Become a Local Real Estate Market Expert. Not licensed yet? Learn how to get a real estate license at RealEstateExpress.com.